National Oceanic and Atmospheric Administration (NOAA) has released the World Ocean Database 2009. 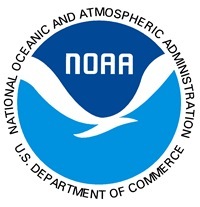 The database is available at the National Oceanographic Data Center (NODC) operated by NOAA of the U.S. Department of Commerce. is an updated version of the 2005 edition. OSD – Bottle, low resolution CTD, and plankton data: from 2,258,437 to 2,544,196. CTD – High resolution CTD data: from 443,953 to 634,976. MBT – Mechanical Bathythermograph data: from 2,421,935 to 2,427,277. XBT – Expendable Bathythermograph data: from 1,930,399 to 2,109,400. MRB – Moored Buoy data: from 445,371 to 566,540. DRB – Drifting Buoy data: from 108,564 to 122,226. PFL – Profiling Float data: from 168,988 to 520,816. UOR – Undulating Oceanographic Recorder data: from 46,699 to 88,184. APB – Autonomous Pinniped Bathythermograph data: from 75,665 to 89,558. GLD – Glider data: from 338 to 5,857.
is the largest collection of scientific information about the oceans with records dating as far back as 1800.
database helps to study the global climate change and used for quality control of real-time oceanographic information. has approximately 9.1 million temperature profiles and 3.5 million salinity reports. also provides 29 categories of scientific information from the oceans, like oxygen levels and chemical tracers, information on gases and isotopes that is useful to trace the movement of ocean currents. compiled by scientists at the Ocean Climate Laboratory, part of the NOAA Satellite and Information Service. For more details, log on to National Oceanographic Data Center.